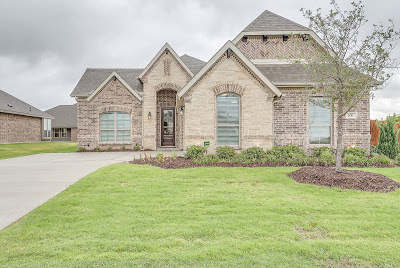 Set in the Waxahachie community of Windchase, the Baldwin floor plan is a great open concept plan. It features a beautiful entry way and study upon entering as well as 2 of the 3 bedrooms and a full bathroom and utility room to either side of the foyer. As you enter into the main living area, the kitchen, dining room and living room are all open to create one great room perfect for entertaining. The high ceilings and custom features including hardwood floors, granite counter tops and a stone to ceiling fireplace create a stunning living space like we have come to expect in a John Houston Custom Home. It appears that winter has finally decided to show up in North Texas and show up in a big way! Considering that we were just in shorts two days ago, I am going to assume that you are as unprepared for this cold weather as I am. Despite what the calendar says, my body is in a bit of a shock and I think it's safe to say that your home may be as well. So, let me interrupt your plans to ride out the rest of this year in a food coma/Netflix binge if I may and possibly help save your home and your wallet some stress. 1. Change Out Your Air Filters This is perhaps the easiest of steps because technically you should be changing your air filter out once a month anyways. (If this comes as a shock, quick change those puppies out...I won't tell.) 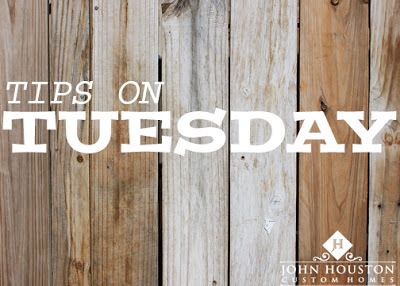 Perhaps you haven't had to use your heating and air conditioner recently so once that heat kicks in, any build up will restrict air flow and make your heater have to work harder than it needs to. This will not only cost you more but could put unnecessary stress on your heater. You know that song that no one knows the words or meaning to that plays at the strike of midnight on New Years Eve? You may kind of know what I'm talking about, "Should old acquaintance be forgot and never brought to mind?" Everyone sort of hums the tune and then goes about celebrating because, it's just, tradition. This year it got me thinking, why do we half sing this and what does it even mean!? Auld Lang Syne just so happens to be the name of that old Scottish tune that we attribute to the farewell of an old year and in a nut shell, it means out with the old. 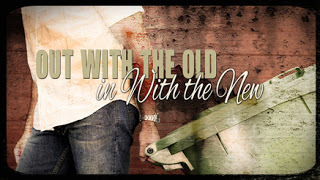 When we get rid of the old, we can usher in the new and new is so much fun! This time of year we start to focus on a new healthier self, a renewed commitment to managing our finances, maybe a new job. The list can go on and on but we often resolve to do so much new in the New Year that the shininess of these new ideas wear off by about February. However, here are some things that you can do to your home that can make a new lasting impression that lasts well throughout this coming year.